If you have decided to get new carpet installed in Bingham Farms, we have some good news for you. Here at The Carpet Guys, we have the means to handle all of your carpet and flooring installation needs. We strive to offer our customers the best deals on carpet and installation, and we know that you will love the new flooring we provide you with. With The Carpet Guys handling your carpet and flooring installation needs, you cannot go wrong. Get fantastic customer service from the best family owned carpet store around. Once our installation crews arrive at your home, they will often begin by removing the furniture from the room upon your request. After the room has been cleared of any obstructions, they will then remove the old flooring, bundle it up neatly, and placed it outside by the curb. They will then roll out the new carpet padding, place the new carpeting on top, and install it. Once the remnants have been removed, the furniture is moved back into the original layout. 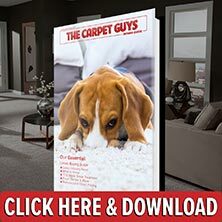 If you are ready to get new carpeting installed in your home from the finest carpet installers in Bingham Farms, fill out a free in-home estimate to get started. We look forward to hearing from you.